I truly do enjoy when the couple makes their engagement session personal to them and their relationship. 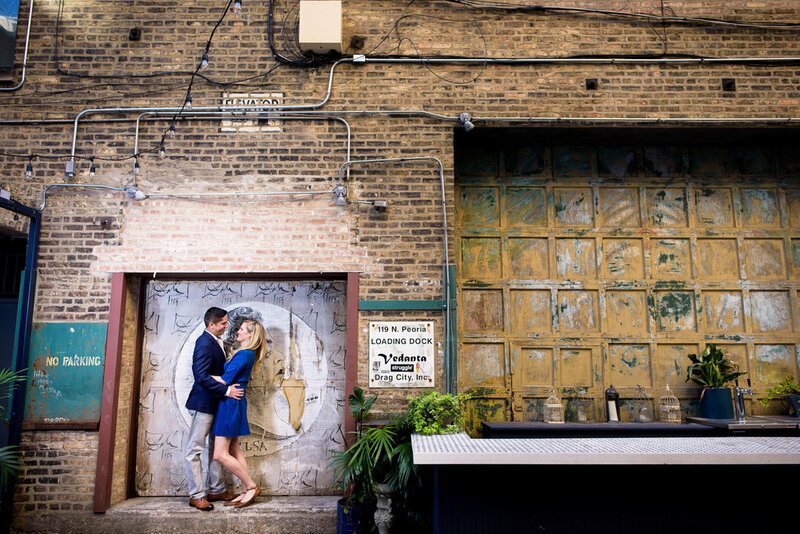 For Laura & Victor, not only did we photograph in their neighborhood of Fulton Market, but we also stopped by the spot of their first date at RM Champagne. 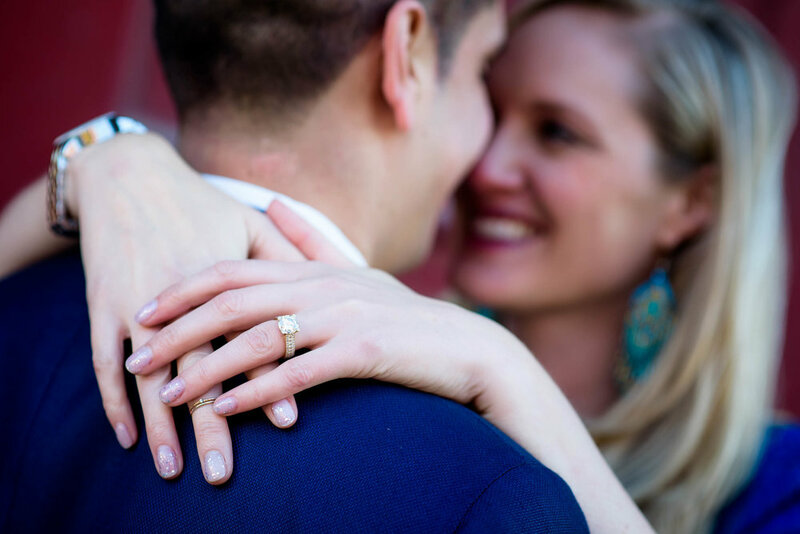 In fact their close friends who referred me, Kacie & Varun, had the same inspiration for their engagement session. The West Loop and Fulton Market are some of my favorite areas to shoot, with a variety of urban scenes, street art and the colorful exterior of the Mars Gallery. They were so natural and fun in front of the camera, and I’m looking forward to their wedding at Carnivale!